IRG has conducted various short term in-water sea turtle monitoring programs on Florida’s east coast throughout its history. This year IRG has begun a long term study to answer deeper questions. It focuses on sea turtles found at inshore lagoon sites and Atlantic nearshore reef sites between Indian River and Miami-Dade Counties. 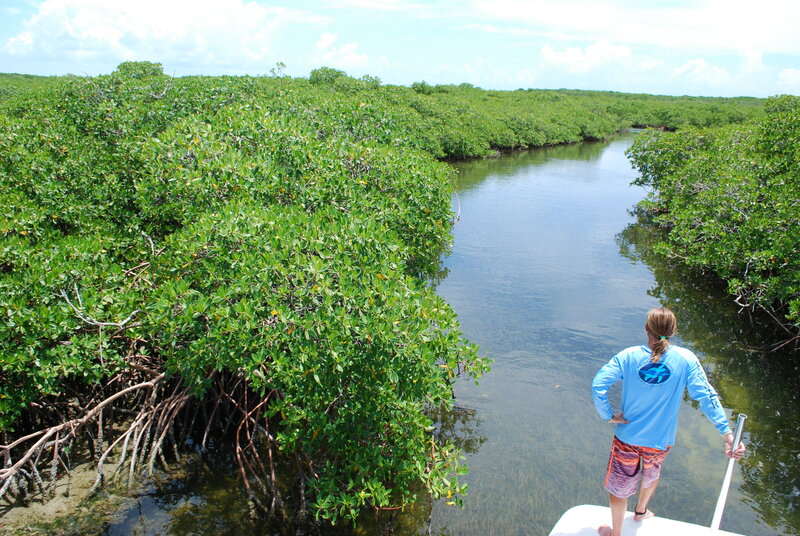 The goal of the project is to compare the characteristics of groups of turtles living in lagoons and reefs while searching for connections between the two areas. The project will include visual surveys, targeted captures, and acoustic tracking. This study will also give our collaborators an opportunity to access sea turtles to answer additional questions. 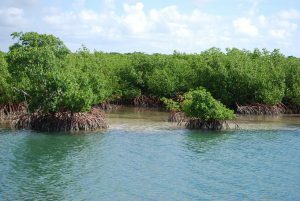 Additionally, we are working within Biscayne National Park. Ninety-five percent of the park is aquatic but there has been little effort to study sea turtles within the park. 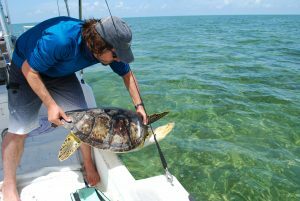 Our study aims to fill in knowledge gaps and answer basic biological questions about sea turtles found within the park.The project is a collaboration between Inwater Research Group and the Florida Hawksbill Project. While all species will be documented, our organizations are especially interested in how hawksbills utilize these waters. In 2017 this project was supported by Friends of Gumbo Limbo Nature Center, an Anonymous Donor, and the Sea Turtle Grants Program (Grant #17-046R). The Sea Turtle Grants Program is funded from proceeds from the sale of the Florida Sea Turtle License Plate. Learn more at helpingseaturtles.org.